This hotel is 100pct non-smoking. The Homewood Suites by Hilton Macon-North hotel is located five miles north of Historic Downtown Macon the heart of Georgia. 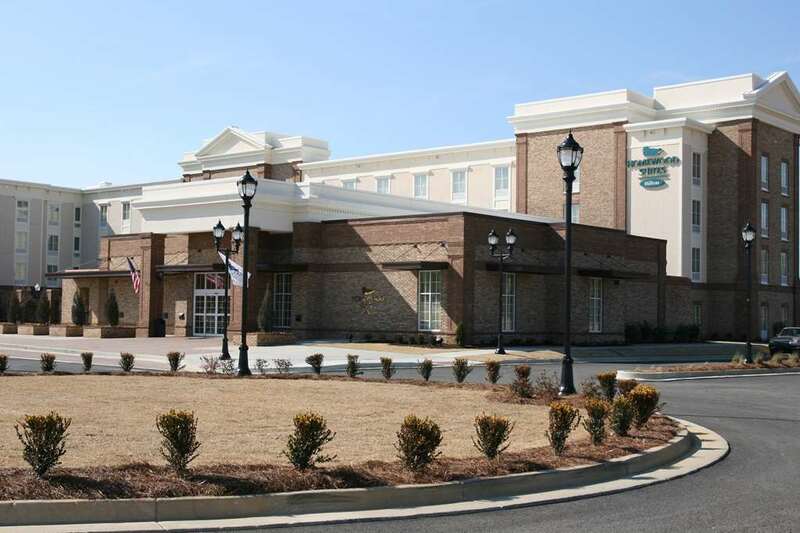 With spacious suites and easy access to I-75 to facilitate your commute to our area the hotel is the perfect home experience for your extended stay or your nightly visit to Macon. Conveniently located in North Macon*s business area the hotel is home to upscale residential communities premier shopping and fine dining establishments. Guests will enjoy The Shoppes at River Crossing fine dining at Marco Italian Restaurant or family fun at the pool. Discover our rich Music Heritage home of Little Richard Otis Redding Chuck Levell and the Allman Brothers. Come enjoy Macon*s Southern Hospitality at our hotel. Make yourself at home.